Hoardinge graphics are the perfect solotion to display your business message to a wide audience, This type of signage is especially helpful during building or refirbishment work. 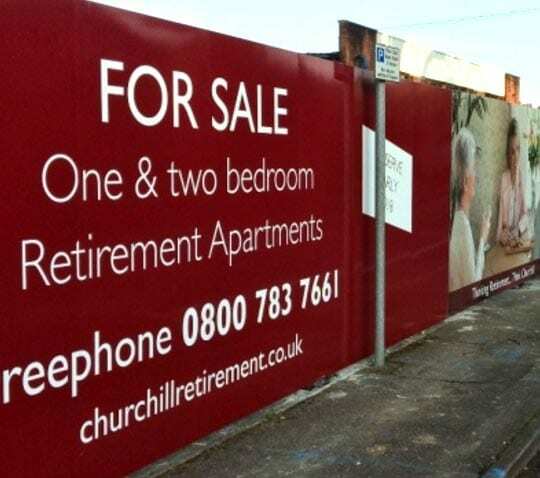 GK Signs have completed hundreds of hoarding projects across the southwest for many years. We have many satisfied customers and frecuent repeat business who use our expertise to produce and install graphics on site hoardings (construction hoardings). The GK Signs team overseas your hoarding project from start to finish. One of our trained Field Surveyors will attend your site to measure the hoarding for a number of panels that will be required, and any potential hazards or obstructions. Once the survey is complete, all of the drawings will be submitted to our in-house Graphic Design Team who will issue you with a professional template including images of anything that will obscure the view of the marketing. Once you have decided what you would like and in which positions your Graphic Designer will then return the artwork for your approval. In some cases, perimeter hoarding is a vital part of ensuring the safety and good image of a new home development. 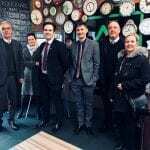 At GK Signs, we help you capitalise on the doom and gloom of a long hoarding run and can transform it into something special for all of your future customers to see while your development is underway. 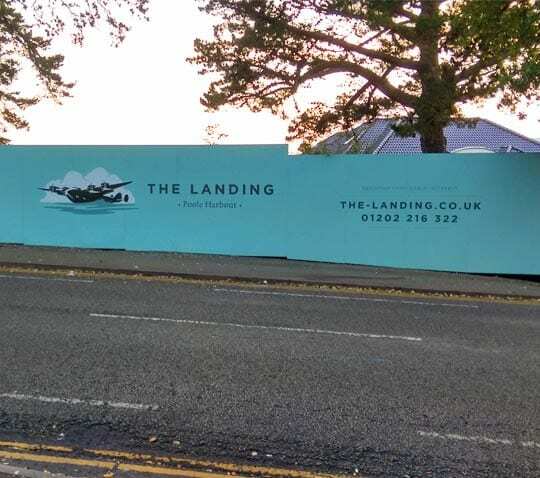 Our hoarding panels are produced using direct printed material that is flexible enough to mould to any existing timber hoarding, whilst being band durable enough to last at least the life of the construction phase of the development. Given that timber can wear heavily over time, our hoarding panels also offer a fantastic weather shield and prolong the life of your site’s perimeter! 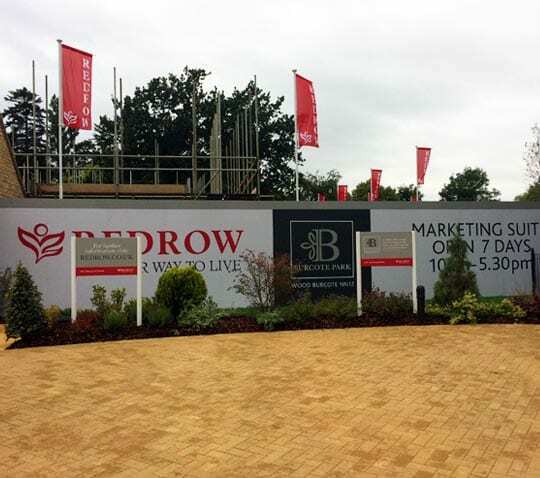 With our innovative advertising solutions, we always design, produce and install your hoarding run with the view of giving the best direction to traffic and pedestrians, gaining you more enquiries leading to new customers! 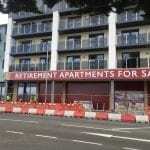 Please click HERE to enquire about hoarding graphics for your development. 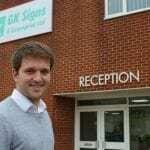 Please click below to enquire about signage for your site.